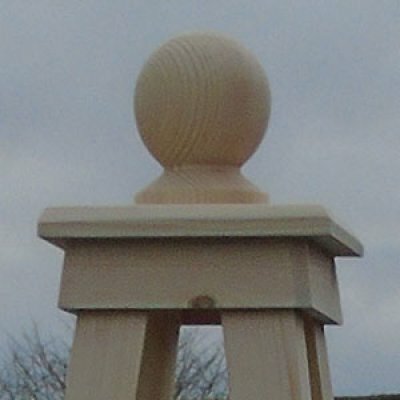 The Knightsbridge Wooden Garden Obelisk is a development of our Kingsbury wooden garden obelisk. A little less flamboyant but still with a skirted finial. Crafted from Scandinavian Red Pine. Very sturdy construction (heavy too) all connections are fixed and then bonded with high quality waterproof adhesive for durability and strength. 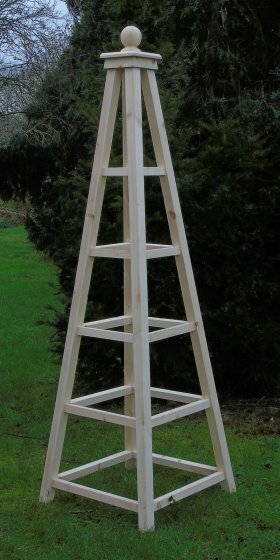 An exclusive and attractive addition for your garden. 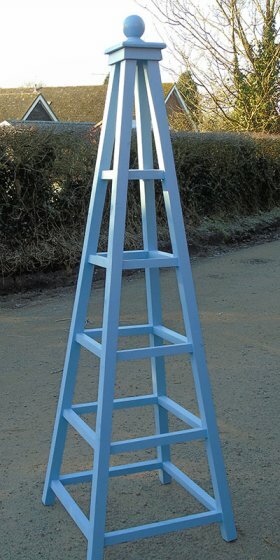 The Knightsbridge Wooden Garden Obelisks are elegant Obelisks that stands 200cm tall and are 55cm square at the base.